The AMD FirePro™ S7150 x2 server GPU allows IT managers to address up to 32 users per card, with each user having an equal share of its performance. 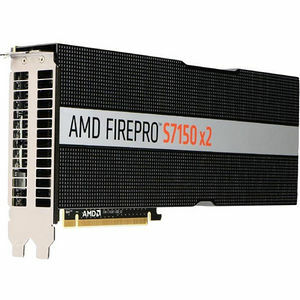 Since no user licensing fees are required to use AMD's virtualization solution, the AMD FirePro™ S7150 x2 server GPU provides outstanding performance-per-dollar for GPU virtualization, and organizations can realize the economic benefits of desktop virtualization by moving physical server, devices to the data center. The AMD FirePro™ S7150 x2 GPU represents a new, easy and safe way of virtualizing your office environment.